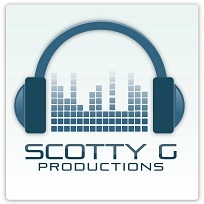 Scotty G Productions — If you need a DJ, hire Scotty before someone else does. Hey there! You found me (Scotty G) and I’m guessing that you’re in need of a DJ. Well, you’ve come to the right place because that’s what I do. I’ve been a professional DJ since 1996 and have provided my services for thousands of clients in the Pee Dee and surrounding areas. I’ve even traveled 12 hours up to New York for a bride that just had to have me DJ her wedding and reception. Yes, I’m that mobile. My most popular events to DJ are wedding receptions. Just about any Saturday of the year, you’ll find me DJing the music and entertainment for a newlywed couple along with their friends and family. It’s a special day for everyone, and I do my best to provide the best quality DJ service as if it were my own wedding reception. Among thousands of brides, some of the clients I’ve provided my DJ services for were The Darlington Raceway, West Florence High School, South Florence High School, Sneed Middle School, Delmea Elementary, QVC, The SC Highway Patrol, The Darlington Fraternal Order of Police, McLeod Hospital, West Florence Fire Dept., Virginia College, The Florence Literacy Council, The Junior League of Florence, The YMCA, The Morning News, Francis Marion University, Pee Dee Cardiology, The Florence Country Club, The Hartsville Country Club, The Country Club of South Carolina, Coker College, and more. If you’re looking for a DJ, and would like to talk more, please feel free to call or email from my contact page. Thanks! Chevy, Ford, Steve Martin, Gibson Guitar, Bethany Frankel, Buddy Valastro (The Cake Boss), The Last Comic Standing, LeaglZoom.com, Who’s Line is it Anyway, Cesar Milan (The Dog Whisperer), and The Deadliest Catch just to name a few. I'm about to blow up twitter for @InternJohnRadio for the @Kaneshow. I got friends. Followers?